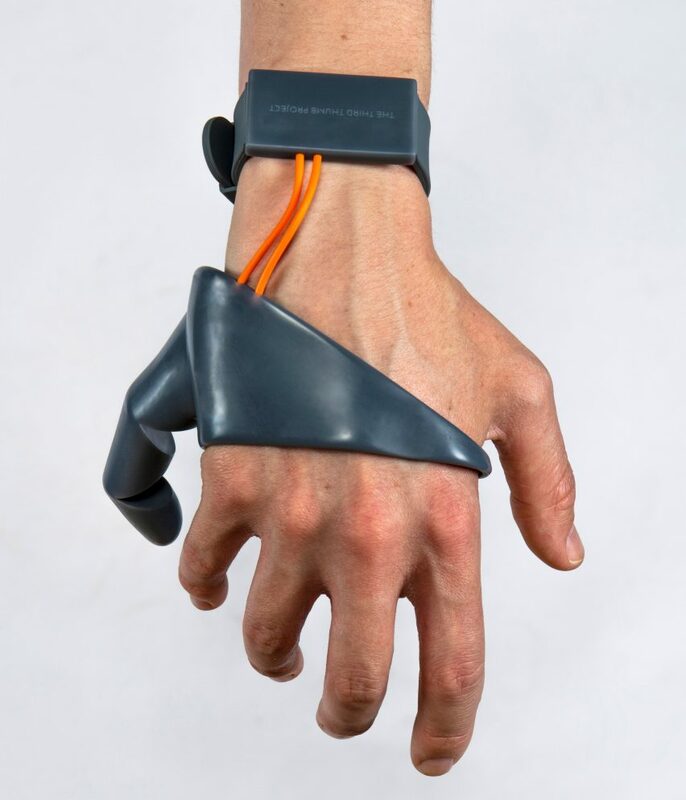 The Third Thumb is a motorised, controllable extra digit, designed for anyone who wants to extend their natural abilities. 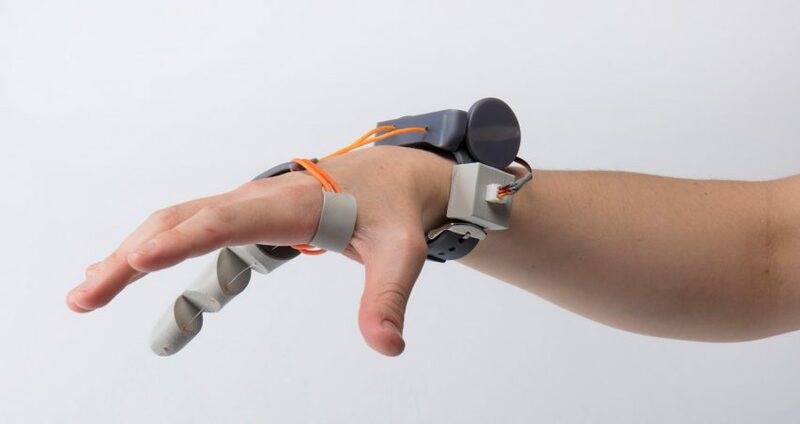 A student of the school’s product design masters, Clode created the device as a way to challenge conventional ideas about prosthetics- usually thought of as devices only for people with disabilities. Clode is originally from New Zealand and completed her undergraduate degree at Victoria University in Wellington before moving to London to study at the RCA. 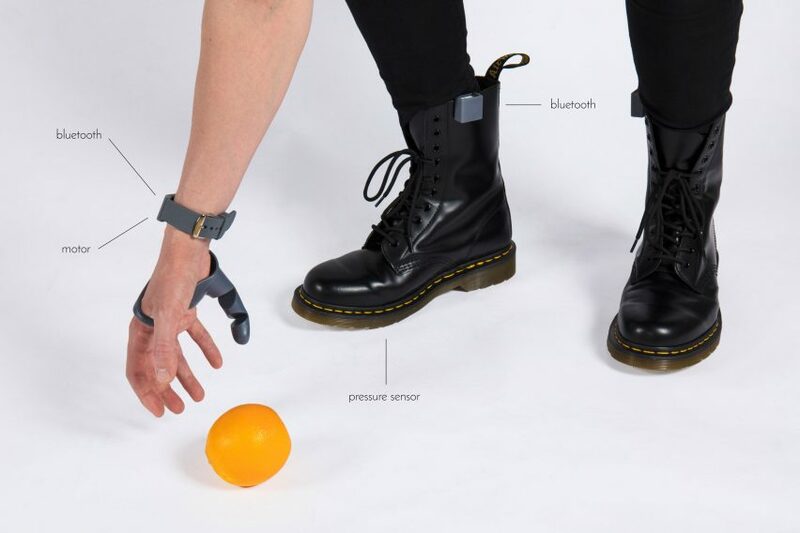 The Third Thumb investigate the relationship between the body and prosthetic technology in new ways. It is part tool, part experience , and part self expression; a model by which we better understand human response to artificial extensions. It instigates necessary conversation about the definition of ability.